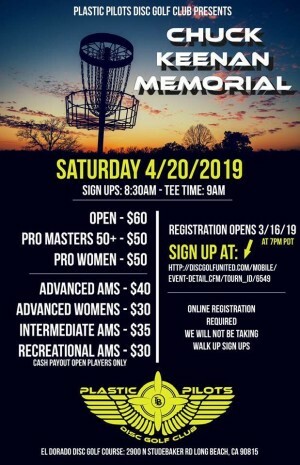 The Chuck Keenan Memorial is Saturday 4/20/2019 at El Dorado Disc Golf Course. It is in honor of one of El Dorado's beloved locals. Chuck was a true representation of the disc golf spirit on and off the course. This is a non-sanctioned event. Online registration is REQUIRED, no day of sign ups. 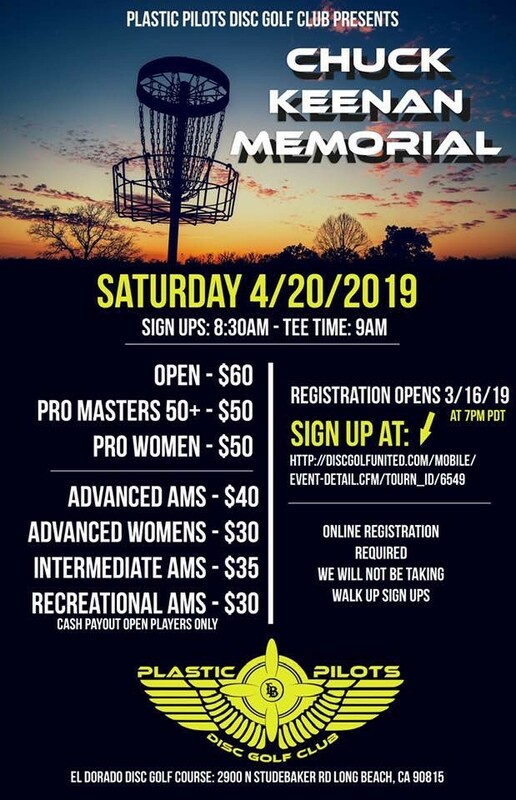 Online Registration closes April 10th.